Newer PostCarrots for Better Eye Sight? What’s Up, Doc? The diet that nutritionists most love to hate, the paleo diet, is an excellent weight-loss diet, and has no negative effects on the cardiovascular system. Australian researchers at Edith Cowan University came to this conclusion after doing a four-week study. But, the Australians point out, a paleo diet is deficient in calcium, iodine and vitamins B1 and B2. So paleo acolytes would probably do best to take supplements. The researchers got a group of 22 women to follow a paleo diet for four weeks. The diet consisted of lean meat, fish, eggs, nuts, olive oil, coconut oil, fruit and vegetables. Grains, dairy, maize, potatoes and beans were forbidden. Another group of 17 women followed a diet that was compiled according to conventional nutritional guidelines. Both groups were allowed to eat as much as they wanted. The women were healthy, not obese, but could do to lose a few kilograms of fat. Although they could eat as much as they wanted, the women in the paleo group lost weight. So the paleo diet turned to be an excellent way of losing weight. Most nutritionists fear that a paleo diet increases the chance of heart attacks and strokes. However, the researchers observed no increase in the paleo group in blood pressure, no worsening of cholesterol levels and no increase in inflammatory factors in the blood. Adults need 1.1 mg thiamine daily. The paleo group did not get this amount, which is remarkable, given that the paleo diet contains important sources of this vitamin, such as meat and vegetables. 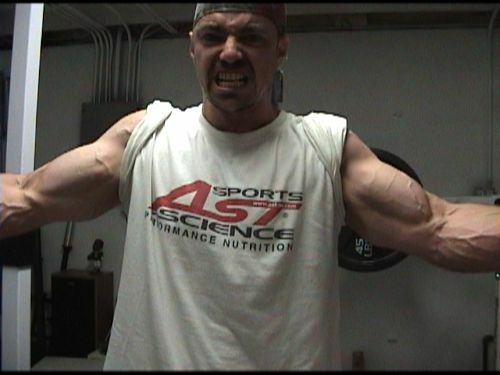 Adult men require 1.5 mg riboflavin daily. The figure for women is 1.1 mg. 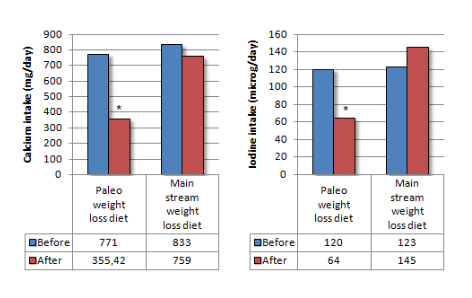 The intake of this vitamin decreased in the paleo group, although not to dangerously low levels. That there was a decrease is not surprising, as dairy products are an important source of vitamin B2. The intake of vitamins A, C and E rose in the paleo group. In the other group the intake of these vitamins did not change. 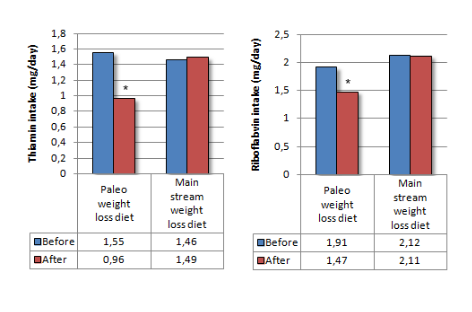 In the paleo group the calcium intake halved. That’s logical, as dairy products are a good source of calcium. 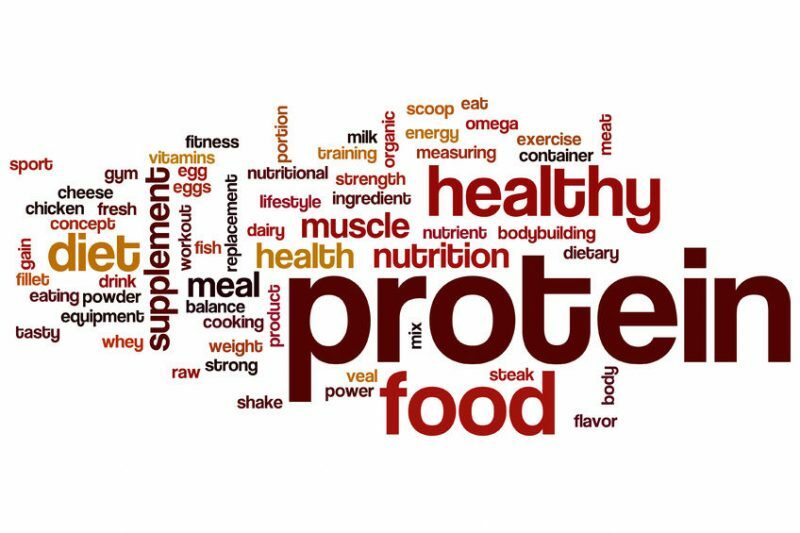 Nutritionists in wealthy countries say that adults require 1 g calcium daily. That is perhaps on the high side, say critical nutritionists: 600-800 mg calcium per day is enough. But the paleo group did not even consume this lower amount either. 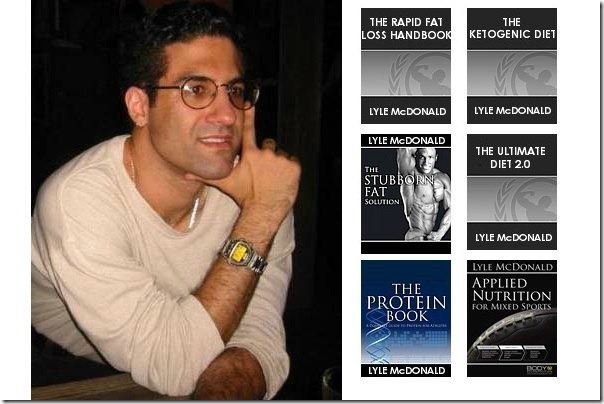 The researchers wrote little about iodine, but we – the ignorant compilers of this free webzine – were shocked when we saw what the effect of the paleo diet was on iodine intake. Adults need 150 mcg iodine daily. The intake of the subjects in the paleo group (which was already low before the study started), halved.